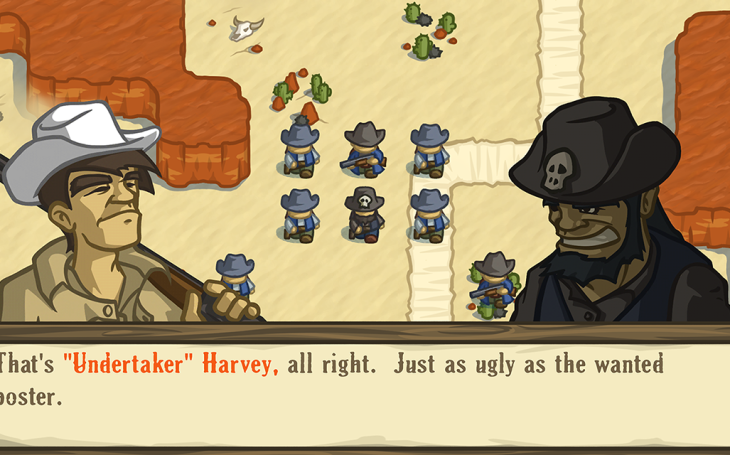 Welcome to the Outlands, partner. 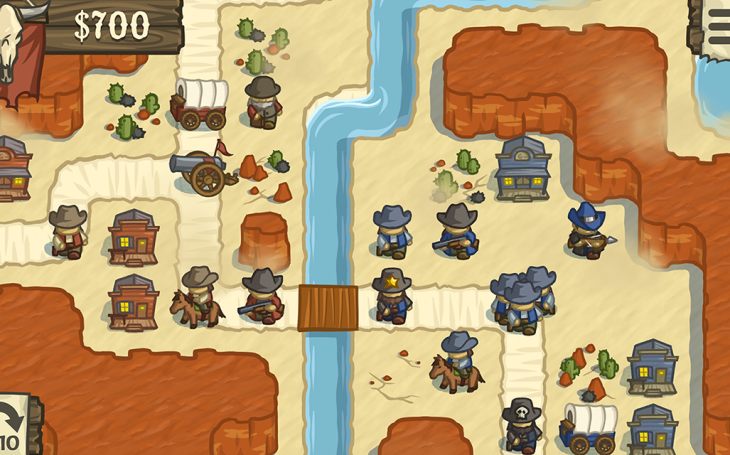 Lost Frontier is a turn-based strategy game set in a fantasy-western setting consumed by steam-punk technology and the supernatural. 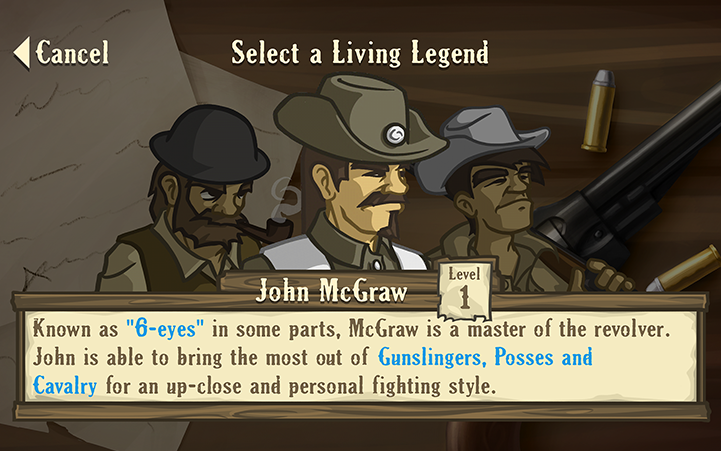 can you survive with just your wit and a six-gun at your side? 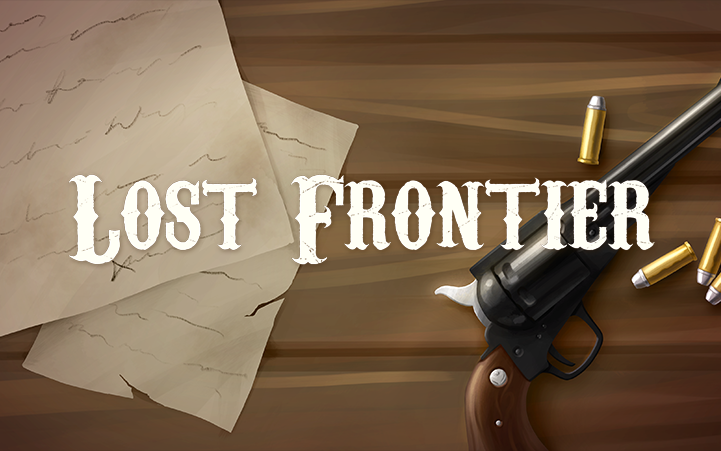 Lost Frontier features a 24 mission campaign, which follows the exploits of a band of mercenaries as they hunt a notorious Desperado. 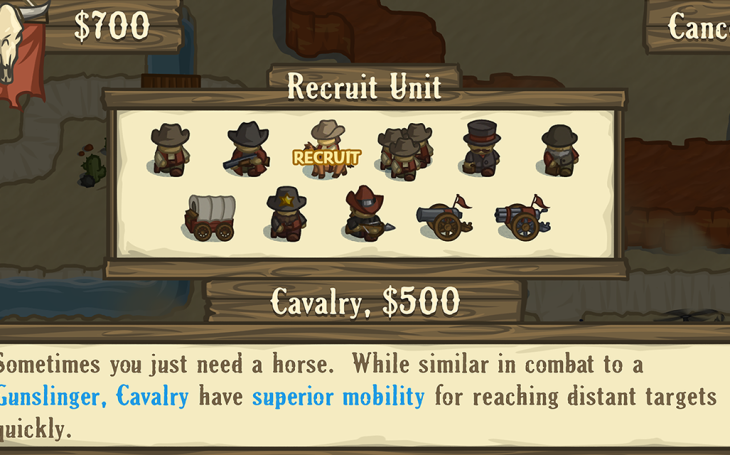 Throughout the story, your wits will be tested as the game challenges you to master the use of 20 unique unit types. 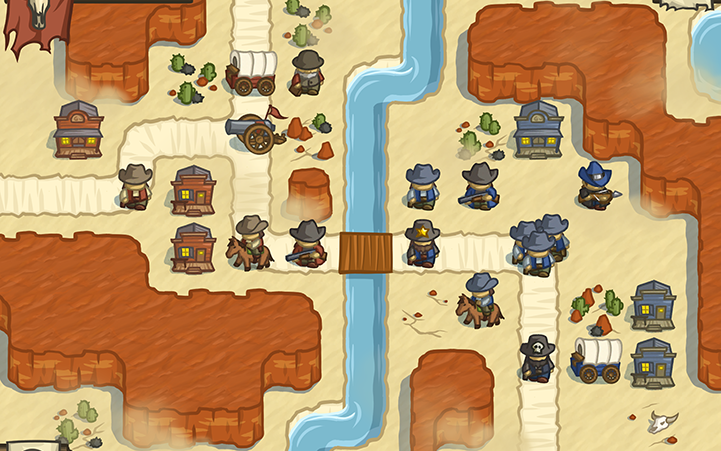 You’ll take command of a wide range of Wild West forces, from Gunslingers and Cavalry to civil-war era Cannons and Gatling Guns. Or, employ more exotic weapons like steam-powered Gyrocopters and Zeppelins, and enlist the help of dark forces like Werewolves and Necromancers. Careful and strategic use of your resources will be needed to best your merciless opponents. 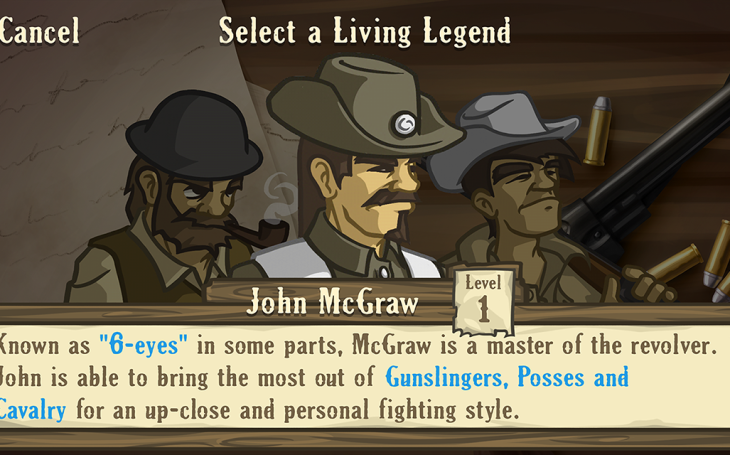 To help you even the odds, take control of a “Living Legend”, who acts as your commander on the battlefield, and helps to specialize your combat style. Prefer long-range engagements? Enlist the help of Wyatt “Long-Arm” Wilcox, a master sharpshooter who’s long-range units are peerless. Each of 9 unique Legends are available, and level up as you utilize them, steadily unlocking their full potential. Once you’ve mastered the game, 20 challenge missions await. These are punishingly difficult battles meant to push you and your Legend’s abilities to the limit. 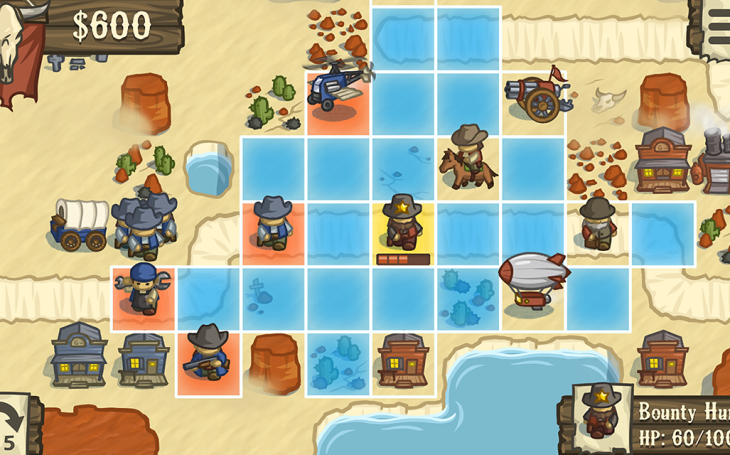 Or, feel free to set up custom games against the AI or with your friends via hot seat multiplayer. Set up the rules, choose your legends, and let the bullets fly! iCloud Backup of saved data. Found a bug or have a technical problem?